As a bar owner, you may think you know how to taste a craft beer properly, but maybe you have been doing it wrong all along. Like a fine wine, there are certain ways to experience your favorite brew, and the process can be quite scientific. The following are the key steps to tasting a craft beer. Although this first step may seem obvious, sight is an intricate part of the tasting experience. After the beer is poured and has settled, take a moment to observe the shade of the beer (which can range from golden yellow to pitch black). Do not hold the beer up to the light. This can dilute the natural color of the beer. Also take note of the head and consistency. Is the beer cloudy or clear? Much like the swirling of wine, this is done to allow the aroma to escape, and stimulate the carbonation. Agitation is also a means of testing head retention; does it stand up or fall? Do not skip swirling the beer, as it is essential to the smelling the true aroma. According to the National Trust Beer Club, 90-95% of what you experience with a craft beer is through your sense of smell. It is the dominant sense that affects your flavor perception. Smell adds complexity to your palate, so before you bring that glass to your lips, bring it to your nose first. Breathe deeply and fill your senses with the beer’s aroma. Make sure you are in a place that has no over powering smells. If you need to agitate the beer again, do so as many times as necessary, to get the full effect of the scent. Start off with a small sip, and do not immediately swallow. Breathe out during tasting. This is a process known as retro-olfaction, and is akin to smelling and tasting simultaneously. Before swallowing, let the beer rest over your entire palate so it reaches every taste bud. Note any familiar flavors you recognize. Is the beer sweet or salty? Fruity? Acidic or bitter? *Note: Try tasting again after it sits. As beer warms, the true flavors pull through; which cannot always be detected when it is served cold. Touch is a very important part of the experience, as it relates to the overall “mouthfeel” of the beer. A big term in the craft beer community, “mouth feel” refers to the consistency of the beer in your mouth, or “how it feels.” This can include descriptive words like: rich, creamy, light, oily, or full. Other ways the tasting can affect your sense of touch is through things like: temperature, carbonation, and body. Although this should not affect the taste of your craft beer, it is good to be aware of your overall surroundings. For a true tasting experience, the focus should always be on the beer. Loud atmospheres, hungry stomachs, or cold rooms, can all be distracters to the main event. If you are going to hold a craft beer tasting, make sure you feed people first. It is also best to pair the foods accordingly, as those flavors can later affect the tasting. Try not to let anyone else’s opinion influence your own. If someone blurts out “That’s bitter!” remember to be objective about your own experience. 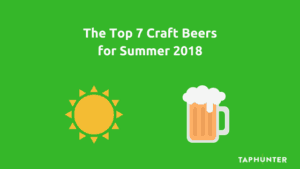 The craft beer industry centers around more than just a beverage. It’s a chance to gather, educate, and relax. 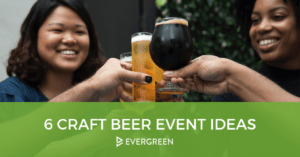 Now that you’re an expert on the perfect way to taste a craft beer, why not hold a tasting party? It’s the ideal way to introduce new brews to your bar, and create an overall familiarity around craft beer. 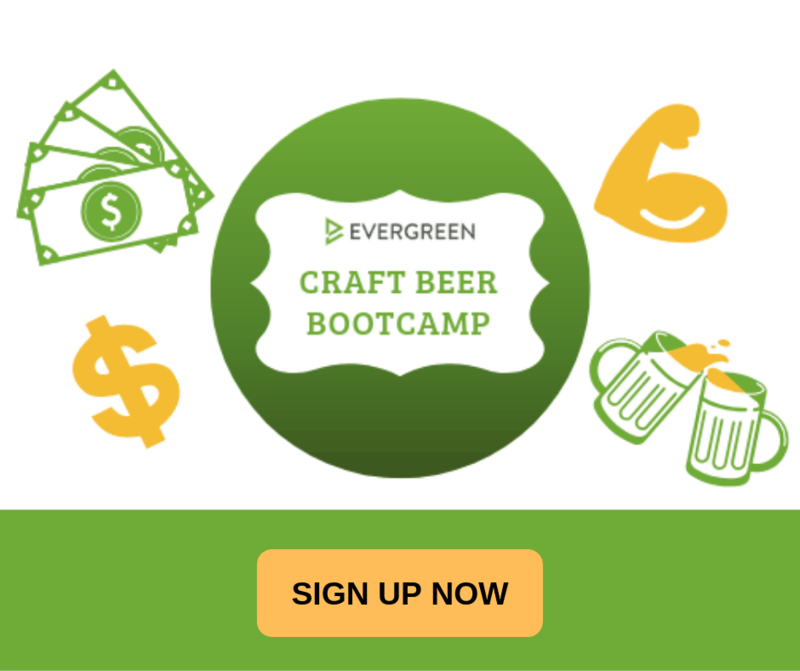 Patrons can learn the proper way to taste the beer; while you drive revenue with delicious flavors, and a new experience. Of course, if you’re making all of this effort to hold tasting events and introduce new flavor profiles, you want everyone to know. TapHunter offers an incredible app for patrons to discover the exact craft beer you just stocked, or the dates of your parties. As long as your establishment is part of the TapHunter community, every time you make a change, your patrons will receive a push notification inviting them to check it out! *Note: Practice makes perfect. Repeat the process to build memory muscle over time.